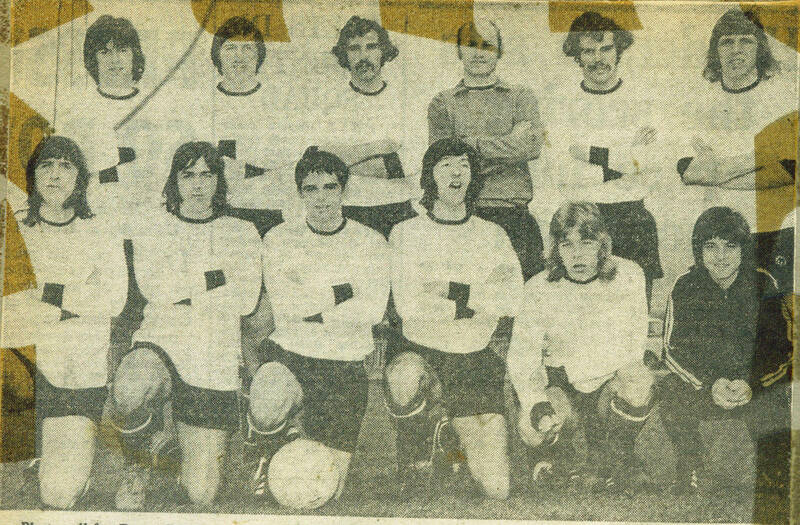 Dover Reserves pictured before the 1-0 win over Tonbridge Reserves at Crabble on Saturday, 3rd.February, 1973, in a Kent League match. Our goal came from Phil Pratt. Back row (left to right): Phil Pratt, Mick Kemp, Alan Dennis, Ray Prior, Gene Geimer, John Kurila. Front row (left to right): Barry Marchant, Howard Moat, Micky Horsfall, Brian Dyer, Tony Hearn, Nigel Watson.